Victoria Beckham doused rumors of an imminent split with her husband David Beckham saying that their relationship is so strong and trusting now that they have nothing to prove to each other. After 16 years of marriage (the couple were married in 1999), she is quite accustomed to handling these rumors that keep surfacing in the media. The ex-Spice Girl opened up regarding multiple rumors and speculation spreading around in the celebrity media that she and David Beckham, her soccer-legend husband, are heading towards Splitsville. She told Grazia that she never listened to nor commented on any rumors about her private life. She added, ‘I am blessed to have a wonderful husband and beautiful, healthy, happy children’. She also confirmed that both of them have grueling travel and work schedules which keeps them apart quite often. Yet, they do manage to find time and space for each other and their family. ‘Yes, we travel a lot with our respective businesses and charitable commitments. 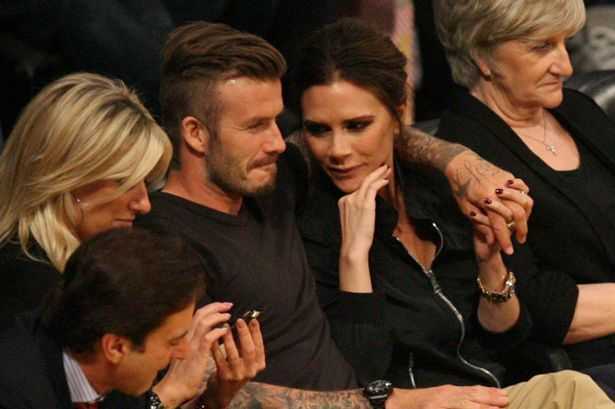 But we always make time for each other as a couple and as a family’, Victoria Beckham added. She was all praise for her husband, saying that he is always guiding her and inspiring her. The singer turned fashion designer further added that she and David ‘have nothing to prove’. They look out for each, love each other and are strong parents and partners. She continued talking about the challenges of having to manage her full-time professional and family responsibilities, but these do not create any discord in the Beckham household. The brunette beauty said that her life was no different from that of any working mother except perhaps that she gets a little more help than others. She said that like every other working mum, she also rushes around Sunday nights checking on her kids’ homework, school uniform, juggling football and ballet dancing classes all of these coupled with work schedules, deadlines and meetings. Victoria believes that she and David Beckham have robust work ethics and that it is a great example to set for their children.